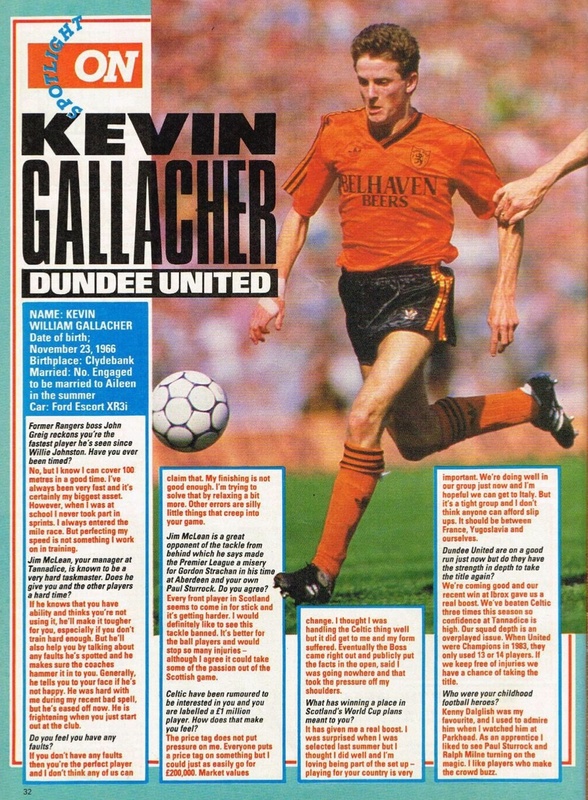 The grandson of Celtic legend Patsy Gallacher and nephew of Dundee's Tommy Gallacher, Kevin joined United from Duntocher Boys Club in September 1983 and immediately began playing in the reserves. 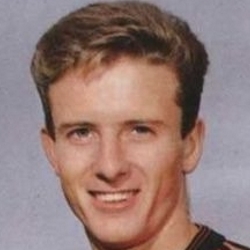 An attacking player who had been part of the national youth squad, he made his first team debut as a substitute against Neuchatel Xamax in a UEFA Cup tie in December 1985, quickly followed by his first starting place three days later against Rangers at Ibrox, and quickly became a regular in the first team squad. Signing a long-term contract in March 1986, by the end of that year he was part of the Scotland Under-21 set up. 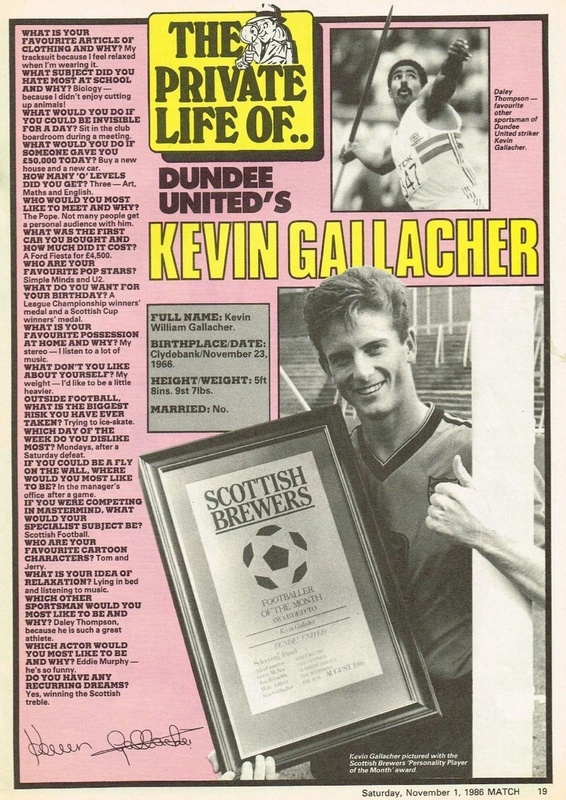 Kevin was an important player for the Club in season 1986-87, helping United reach the UEFA Cup final against IFK Gothenburg, and he played in the second leg to collect a runners-up medal. 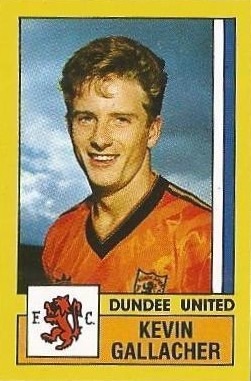 His goal against Barcelona at Tannadice in the second minute of the quarter final is the stuff of legend. 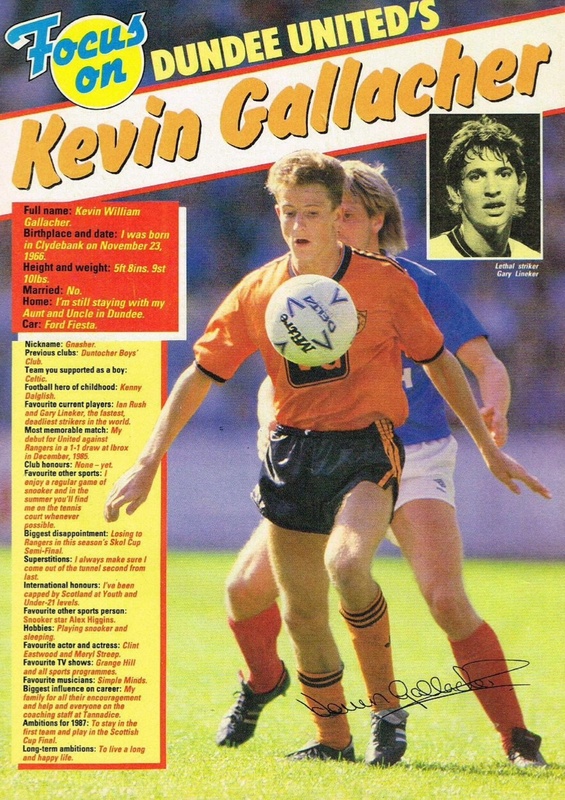 Kevin played in the Scottish Cup final against St Mirren that same season but was again on the losing side. 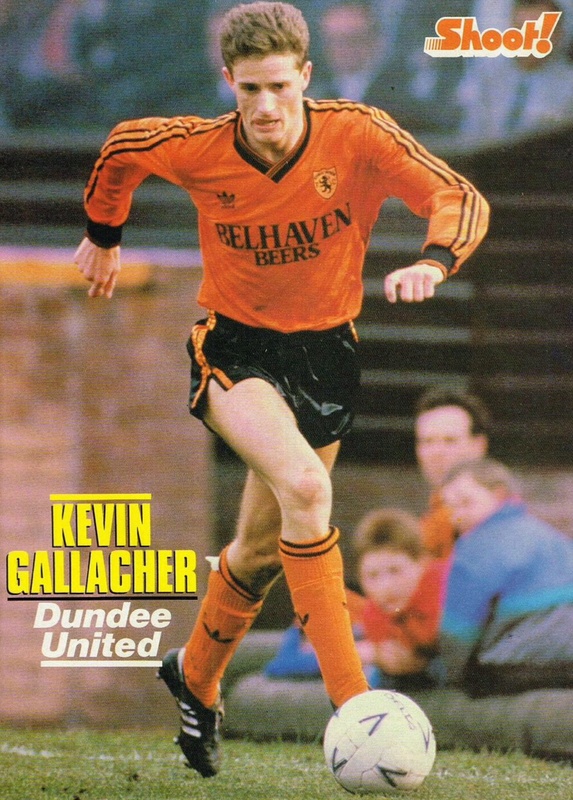 He recorded a hat-trick against Dunfermline Athletic in February 1988, and in May that year he scored a stunning opening goal in the Scottish Cup final against Celtic, but United lost out in that final also. 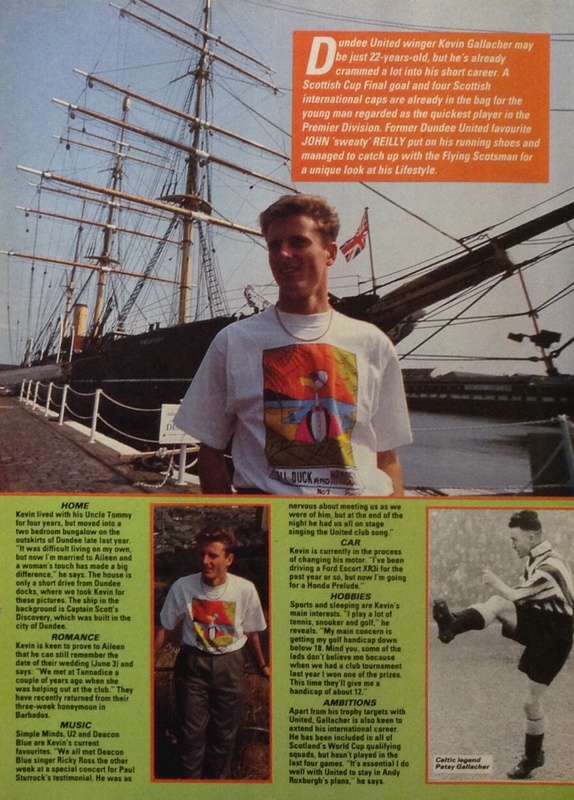 Three days after that disappointment, he won his first Scotland cap in a Rous Cup match against Colombia at Hampden, which was followed by an appearance against England at Wembley. He had another good season with United in 1988-89, notching another hat-trick in January 1989 against Hamilton Academical, and gained two further international caps with games in Norway and Italy. 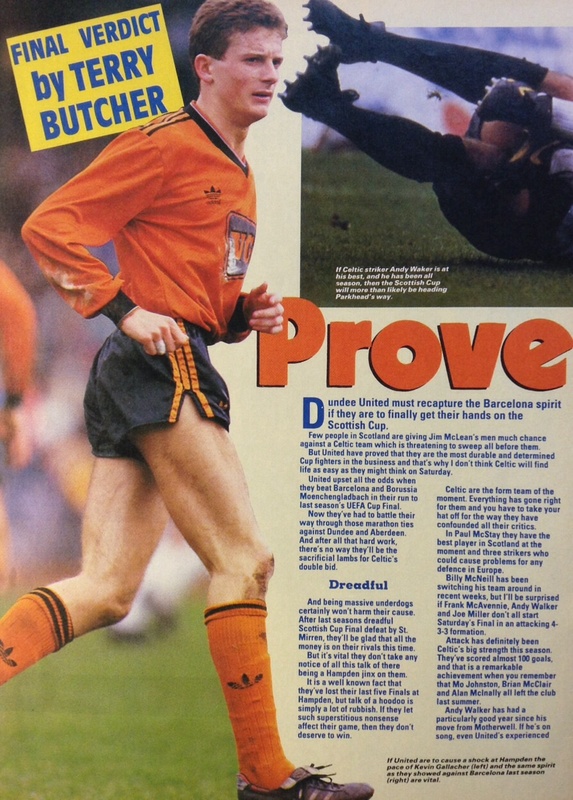 Constantly linked with a move to Celtic, at the beginning of the next season there were rumours of interest from Coventry City, and in January 1990 he moved there for a reported £900,000. He finished as the club’s top scorer in both of his seasons at Highfield Road, and in March 1993 he moved to Blackburn Rovers for £1.5 million. A regular in their side over the next six seasons, he was unlucky enough to suffer two broken legs which saw him miss most of the 1994-95 season when Blackburn won the E nglish Premier League. He stayed at Ewood Park until October 1999 when he transferred to Newcastle United. Two years later he went to Preston North End and then to Sheffield Wednesday, before ending his career at Hudderfield Town in 2003. 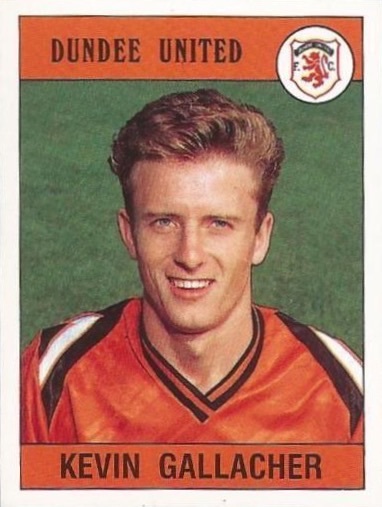 Kevin went on to make over 50 appearances for Scotland, taking part in the European Championships in 1992 and 1996 and the World Cup finals in 1998. After retiring he became a football pundit on TV and radio. 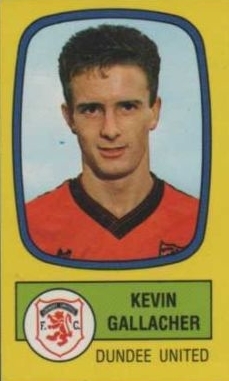 Kevin was born on this date in Clydebank. Parkhead, not for the first time, proved to be a venue for one of our best performances, for us to notch our first away win of the season. Even although we were without the services of the suspended Miodrag Krivokapic, the defence held firm and in almost customary manner against Celtic we repeatedly hit the home side on the break.After only five minutes we created the first incisive opening of the game. Dave Bowman met a Freddy Van Der Hoorn cross with his chest, but overran the ball. 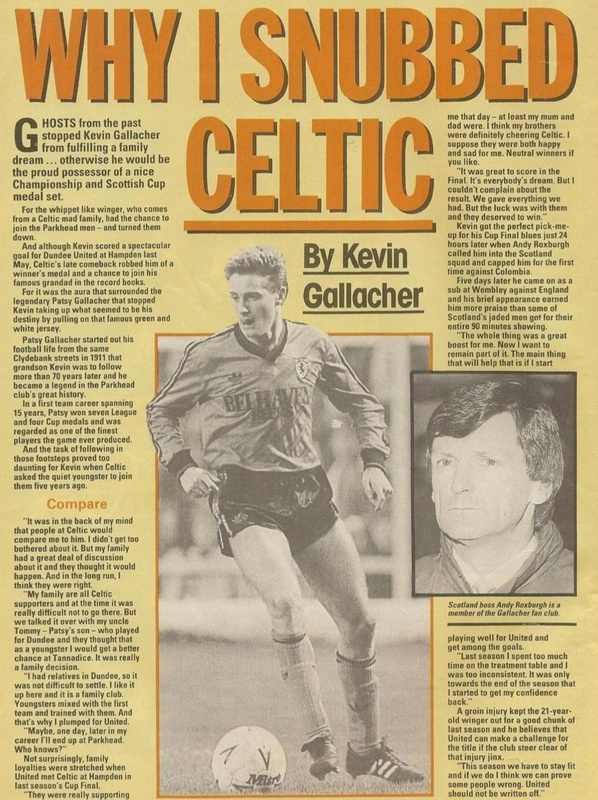 Kevin Gallacher then intercepted a pass-back from Elliott and back-heeled the ball into the path of Michael O'Neill, but Bonner saved his shot. The first of two glaring chances which went abegging came in the 18th minute. 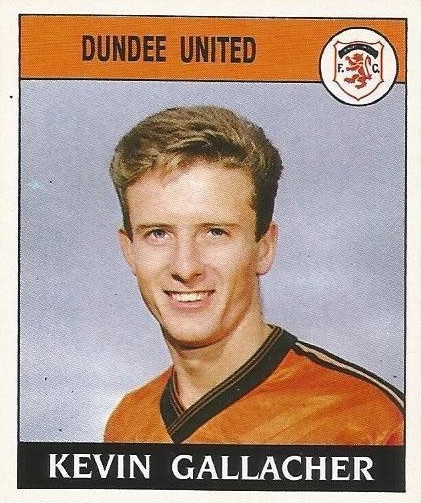 Jim McInally found Kevin Gallacher who swung over a cross which Mixu Paatelainen nudged over the bar. A misdirected pass back by Michael O'Neill presented Celtic with about their only chance of the first half. Dziekanowski pounced but Alan Main easily saved the Pole's shot. Before half-time Mixu Paatelainen shot wide from a good position and Chris Morris tested Pat Bonner when he almost sliced a clearance into his own net. 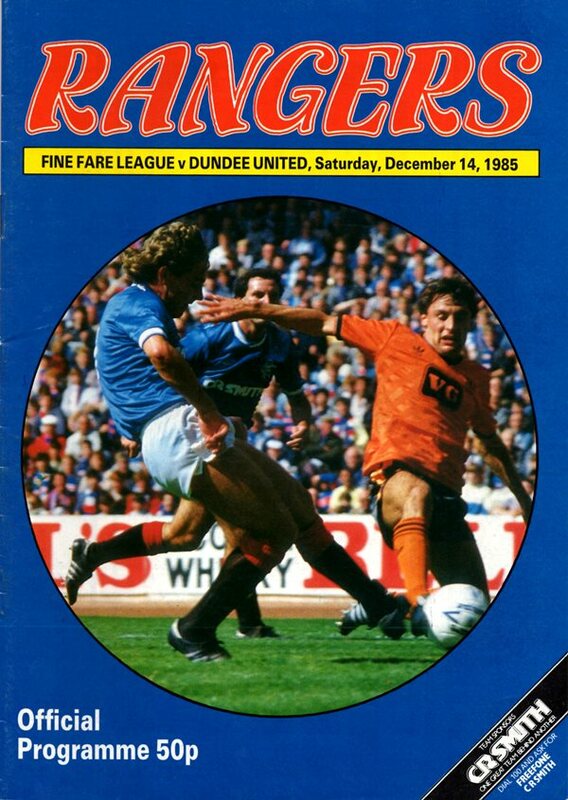 The only winner in this Cup tie was the wind as we failed to over-come Dundee at the fourth attempt this season. Whereas we could lay legitimate claim to victory in the other three meetings, on this occasion Dundee held the upper hand. They served notice of intent right from the first minute when Dodds fired in a wind-assisted shot with Alan Main making light of an awkwardly bouncing ball. Alan was next put to the test when a McSkimming free-kick bounced in front of John Clark and the 'keeper had to react quickly to avert a disaster as John headed the ball back to him. Facing the blustery wind our early efforts on goal were limited to long range shots. Alan Main again twice came to our rescue. First he held a looping back-header from Maurice Malpas and then rushed from his charge to clear from Dodds. 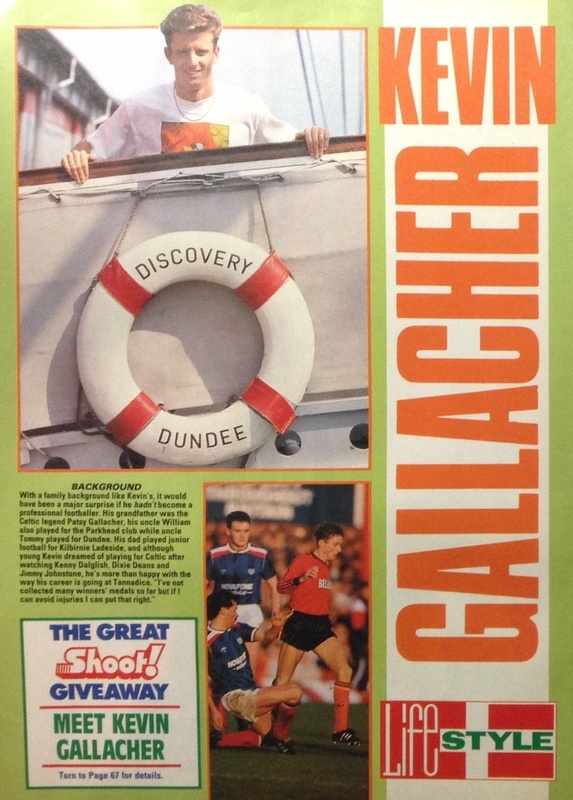 Dundee then squandered a chance when Keith Wright headed past from a good position. Then Alan Main brilliantly held a scorching drive by Craig from 25 yards out. Our closest shave of the half came when Alan Main, under pressure from Gordon Chisholm failed to hold a cross and Dodds' snap shot was a certain scorer until Jim McInally popped up to head the rising shot up and over the bar. Four minutes before half-time Kevin Gallacher created our best opening of the half, but shot weakly at Carson.